Naked 100 newest line will keep your taste buds satisfied and leave you smelling amazing. 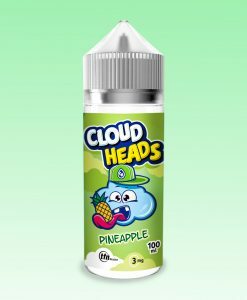 With an insane vape flavor combination of pineapple, strawberry, coconut and menthol, this is one e-juice you will want to pick up. All of the flavors by the Naked 100 Salt line are made with nicotine salts to ensure that you get a flavor you will not forget! 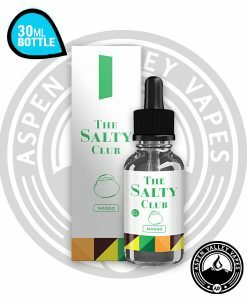 This latest flavor by Naked 100 is one of our favorite flavors from the salt line. 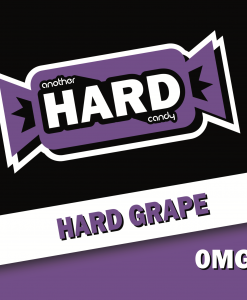 This amazing new line produced 5 fantastic flavors that are too good to stop vaping. 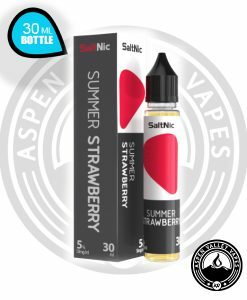 Try all these fruit and nicotine salt flavors today! The Naked 100 Salt line is a bit stronger than the normal Naked 100 flavors but, that doesn’t negate how amazingly delicious these new flavors actually are. 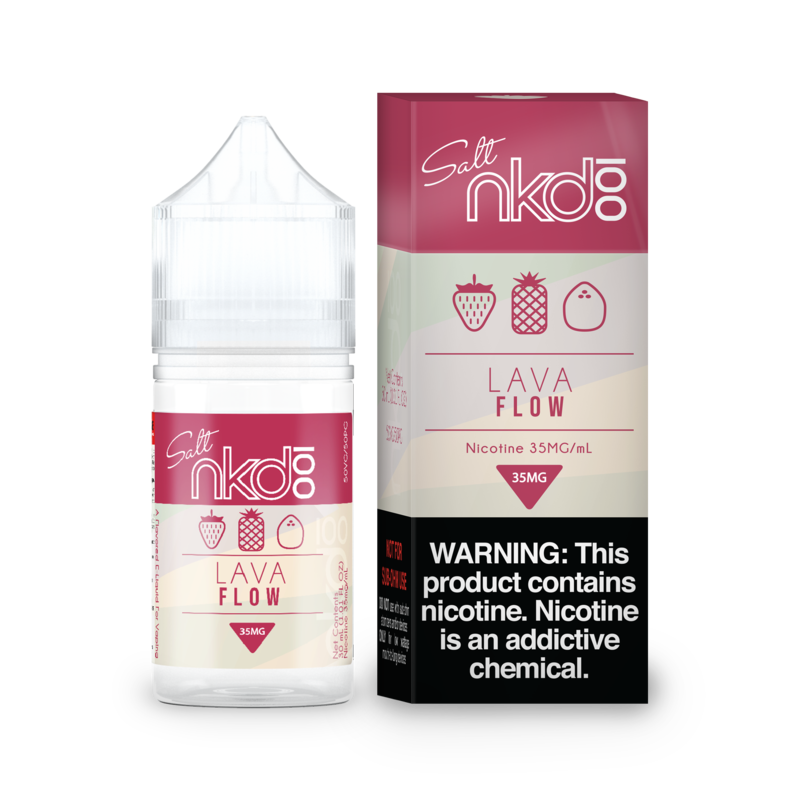 As you begin to vape Lava flow, you will begin to taste the flavor of fresh pineapple, that immediately transitions to the taste of creamy coconut, which finishes off with the mesmerizing flavor of sweet strawberry. 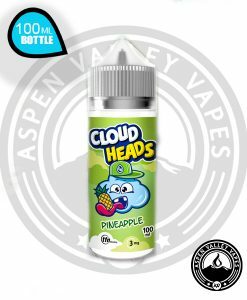 This vape juice flavor is worth the buy because you don’t get just one flavor, or two flavors, but you get three amazing fruit flavors. With that many flavors, how can you say no to picking up a bottle today? This is one flavor that you will keep coming back to. All of the NKD 100 Salt flavors are currently offered in nicotine level options of 35 mg and 50 mg.
Not too shabby. I like tropical vape juices, but IMO the pineapple is the most dominant flavor in Lava Flow… and I wish it was a little heavier on the coconut. 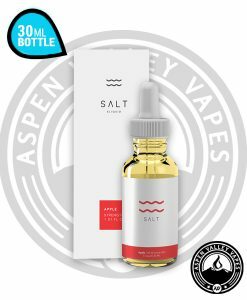 Overall, a decent salt nic juice. 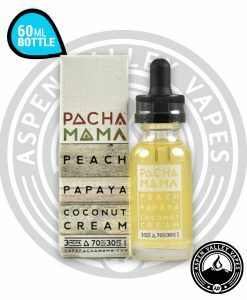 I personally prefer Ripe Vapes Handcrafted Salts Summer Vibes, which is similar but swaps the pineapple for banana and has a stronger coconut taste. Lava Flow is awesome. Unlike the reviewer before, I get a lot of coconut with pineapple coming in secondary. It is a must have if you like Pina coladas, or coconuts/pineapple taste. Delicious! 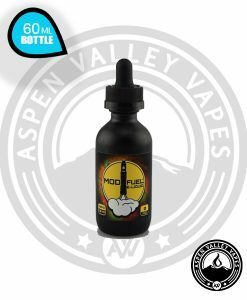 Honestly some of the best stuff I’d tried goes on my daily vape list!